In our busy lives, we often don't take a second glance at the contents of our refrigerator after grabbing our dinner for the night. Food may sit in the corner of the fridge, untouched, until it goes bad and has to be thrown away. This is very unsustainable for not only the planet, but for consumers themselves - every piece of food wasted is money spent on absolutely nothing. 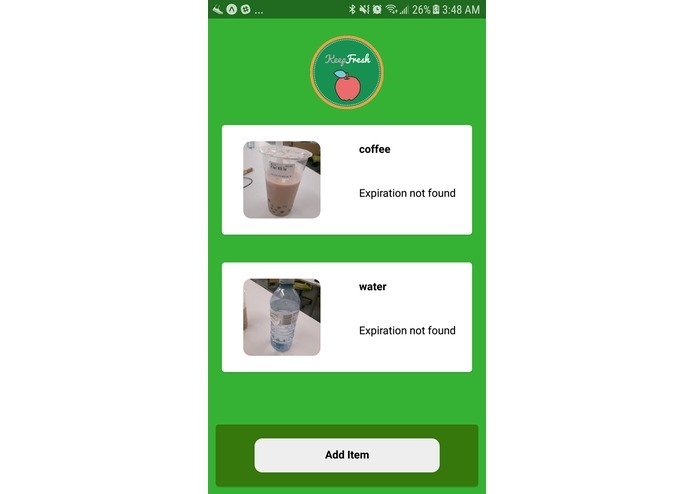 With our app, we hope to help consumers keep track of their food inventory with a simple scroll-down menu to simplify their lives and become more environmentally-conscious, one apple at a time. 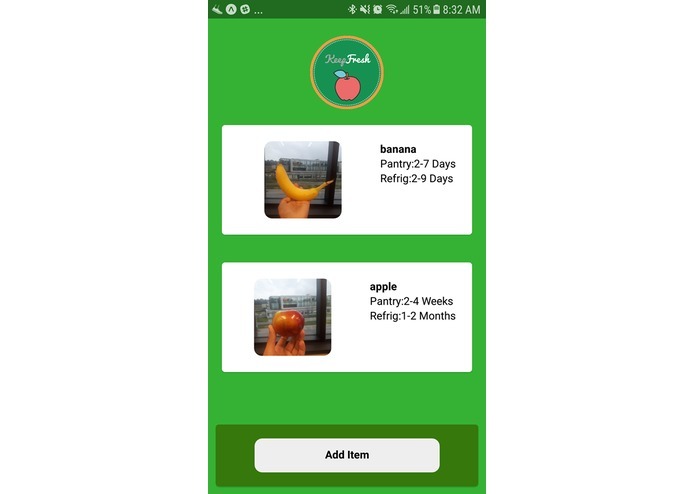 KeepFresh allows users to take a picture of any food item. 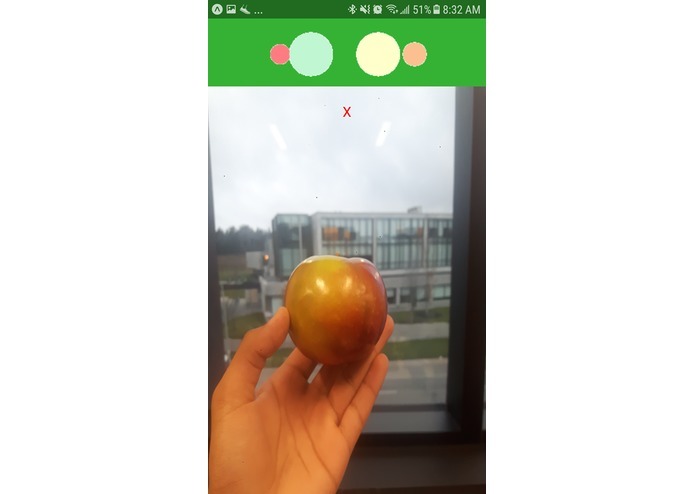 Using image recognition, the app will determine what food it is, then search in the database to find the approximate length of time it will stay fresh. This is added to the 'pantry', where all of the photos and expiration dates are displayed. Once eaten, the consumer may delete it from their 'pantry' by tapping on the item. Intended use: Consumers will immediately photograph the food they purchase. The application puts a datestamp on the date photographed and displays the recommended consumption frame. We ran into issues getting a reliable data source for expiration dates on food. We chose to scrape the data from a nutrition website instead. What's next for Keep Fresh?